Coloring Cards are the New Pipe Cleaners! Give your kinesthetic learners something that both helps them stay focused AND reinforces your training’s concepts and themes. Not Your Average Training Collateral! 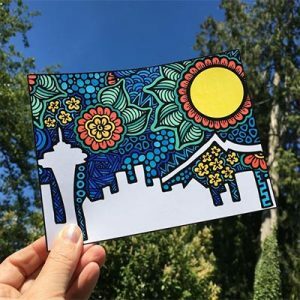 Unlike traditional handouts and training swag, Coloring Cards embed your theme and concepts in both the design on the front and the real estate on the back. I Made This! 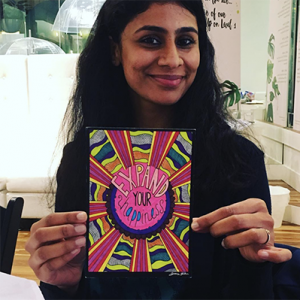 Because the participant added their personal touch, don’t be surprised to find your training Coloring Card on a their desk, reminding them of what they’ve learned. An integral part of employee wellness is their mental health and overall stress levels and mindfulness, meditation and self-awareness play a key role in this. Create calm - A purposeful pause to access creativity and compassion can help slow the treadmill of notifications, emails, etc. that keep employee stress levels elevated. Nurture the Creative Process. The daily “full speed ahead” pace of most workplaces leaves little room for creativity. By creating space for the brain to relax, you foster the space to come up with creative solutions for complex problems. Eureka moments require the space to have them. Self-awareness. Mindfulness practices paired with creativity can help shift an employee re-calibrate and shift mindset. Without moments of pause, we can get stuck in the same lane. Providing opportunities to slow down can help “speed” us up. Hosting events that allow people to effectively connect is the mission. Connecting over something creative shifts mindsets and allows people to connect. Conversations happen at a deeper level when you “doing” something else. Put the people back in the picture. Stronger connections happen through meaningful interaction. 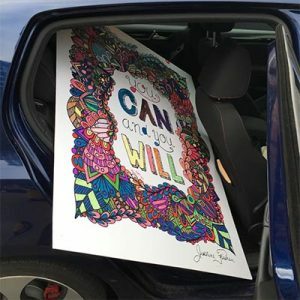 Creative spaces are also a gift to the “non-extroverts” at your event who are looking for a way to connect and participate in a way that works for them. Our illustration team creates unique, hand-drawn illustrations to make your event or training stand out. We help you visually reinforce your event theme or training concepts. What’s better than creating opportunities for people to connect and problem solve? to Not much! 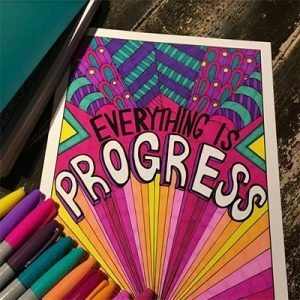 The Coloring Project provides several unique ways to involve the community with your program or event. Pens and cups and lanyards, oh my! Instead of the old stand-by swag, use coloring cards to brand your company, team, or event. Make it meaningful - Give people something they personalize and take home. Does that ‘monkey mind” keep you from meditating? Coloring occupies your busy mind, giving you the space to think.